Ferrari Lightweight Coated Jacket - Red. Light weight, easy wear fully lined Jacket in coated cotton. Zip under welts on side pockets. Elasticated cuffs with Velcro adjusters. Foldaway drawstring hood in collar. 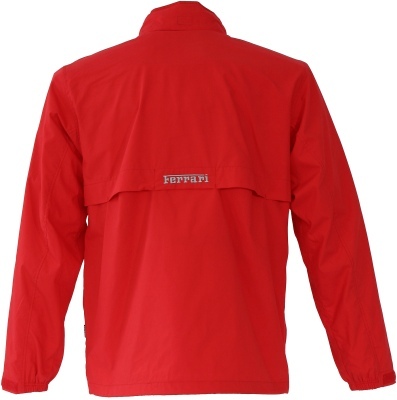 Vented back flap with Ferrari embroidered branding. 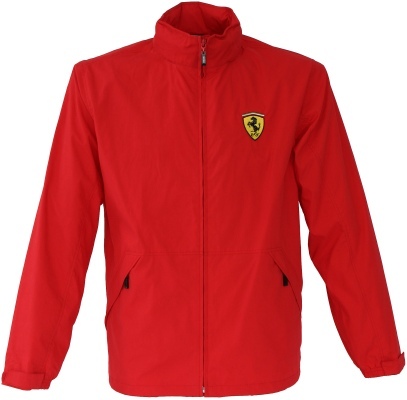 Under zip storm Flap with Ferrari embroidery. Lining top half mesh and lower half polyester with branded ribbon feature. Roll elastic draw cord and adjusters in hem.